FR. GERARD SAGUTO FSSP will give his next class on Wednesday, April 20th, at 7:00 p.m. 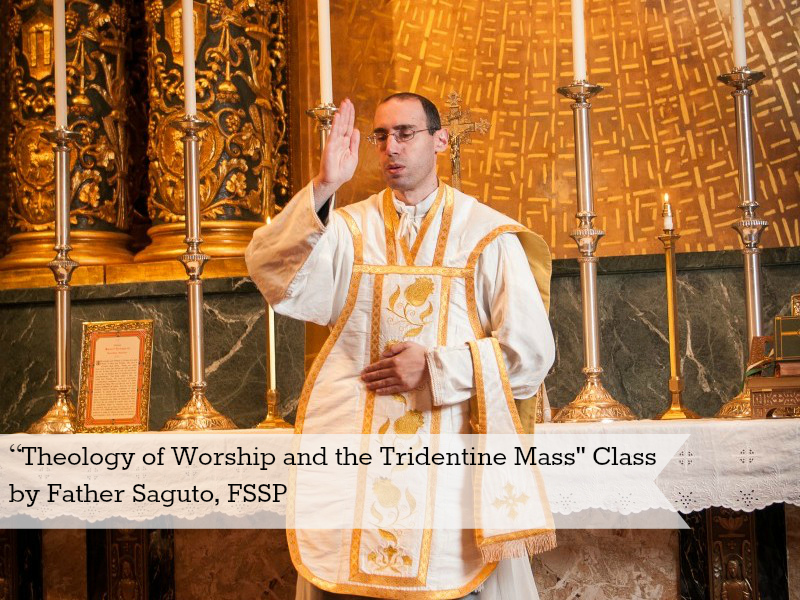 The topic will be “Theology of Worship and the Tridentine Mass.” This topic will take us into the month of May. Everyone is welcome!